Have you won enough Bananatic points to get the Huntsman Weapon Case Base Grade Container for free? This box could contain anything from the Tec-9 Isaac to the very rare huntsman knife, so find out if you do have the points you need to get access to the container right now. Those who havenâ€™t amassed the points they need to get the box may still be able to obtain it via the Bananabet lottery. 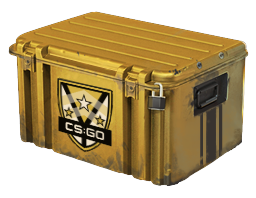 Why wait any longer to see if youâ€™re eligible to get the Counter Strike Global Offensive Huntsman Weapon Case Base Grade Container for free?